What’s purple and swims in the ocean? Moby Grape formed in San Francisco in 1966 after The Jefferson Airplane kicked out their drummer and fired their manager. The exiled duo decided to copy The Airplane’s formula (well, The Beatles’ formula) and start a band containing multiple singers and songwriters – all the better to strengthen the repertoire since everyone need only contribute their 3 or 4 best songs per album. In theory, a great plan – but oh, how the music biz loves to destroy a great plan. 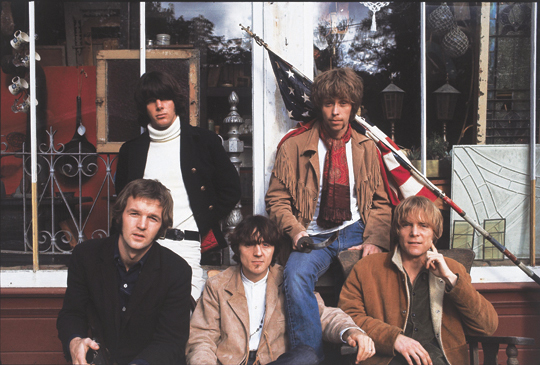 After a brief bidding war, Moby Grape signed with Columbia Records and quickly recorded their debut in the spring of 1967. Upon its release in September, Columbia took the unprecedented and bizarre step of releasing five singles simultaneously, utilizing ten tracks from the album. Of course, this led to great confusion at radio stations, and music fans viewed the publicity stunt as a HYPE, a very dirty word at the time when all the kids were rebelling against Madison Avenue, suits and ties, and sell-outs. Despite the mishandled releases, the album received critical acclaim and two of the singles reached the lower tiers of the charts. Unfortunately, the band couldn’t catch a break. Their drummer (and co-founder), Skip Spence, lost himself to drugs and weirdos and had to leave the band, while their manager (the other co-founder), Matthew Katz, forced the band to sign away ownership of the Moby Grape name, and later secretly stole all the rights to their songs. Legal entanglements persist to this very day. 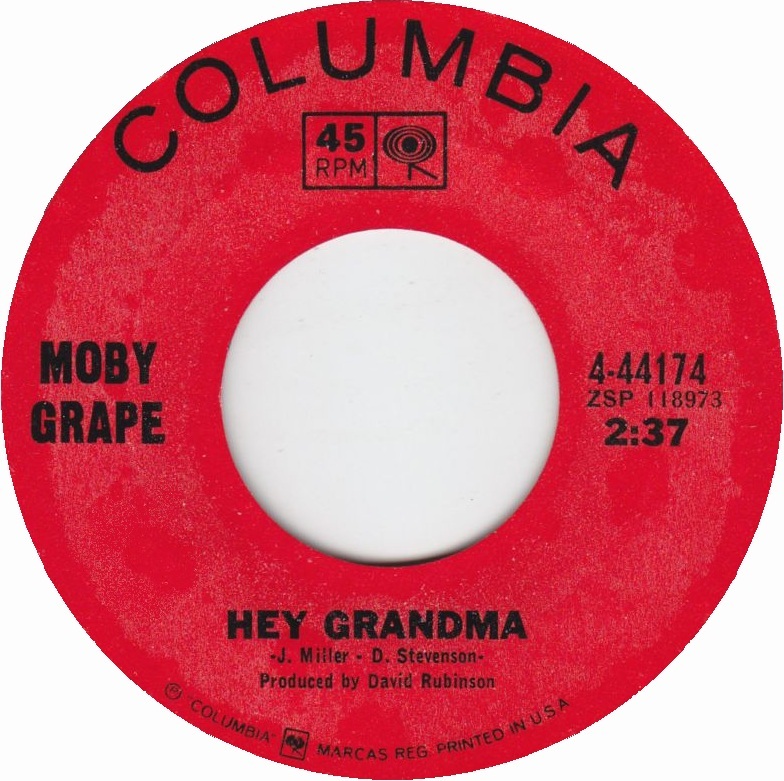 “Hey Grandma” is the opening track from Moby Grape’s eponymous debut. It was a popular cover choice at the time, with versions by The Move (pre-ELO), and Robert Plant’s Band Of Joy (pre-Led Zeppelin). It’s difficult to pin down exactly what the song is about, but I can certainly tell you that the band’s suggested mixture of Robitussin and elderberry wine will likely not make you feel fine. Let’s go to San Francisco! It’s all happening here in 1967.